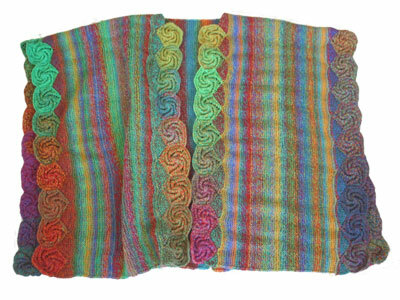 Entrelac Shawl - Autumn This shawl is designed using entrlac stitch, a 70 inches by 36 inches trangular shawl. 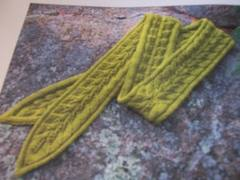 Sample is knitted with Jojoland Rhythm wool yarn. 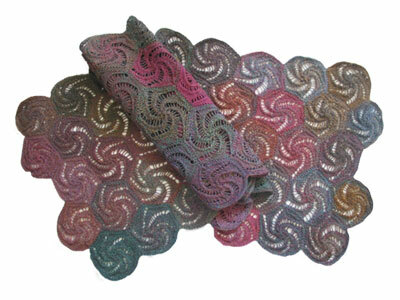 Color 8-m09. 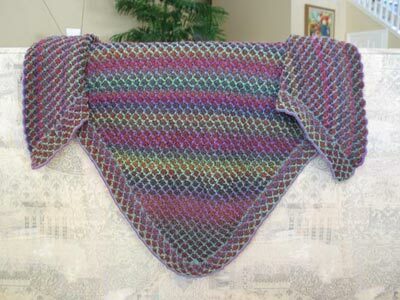 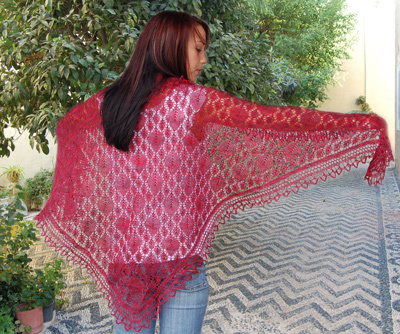 Shawl is knitted with U.S. size 4 (3.5mm) needle. 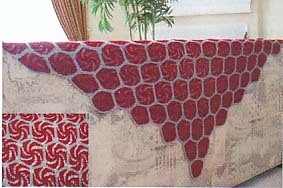 Finished size is 62 inches X 23 inches. 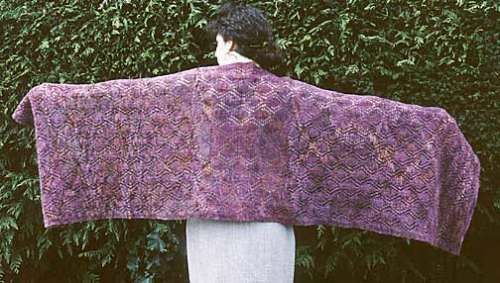 Finished Shawl measures 58 x 31 inches. 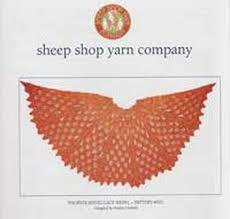 Yarn requirements: 1700 yards of worsted wool. 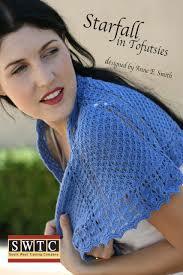 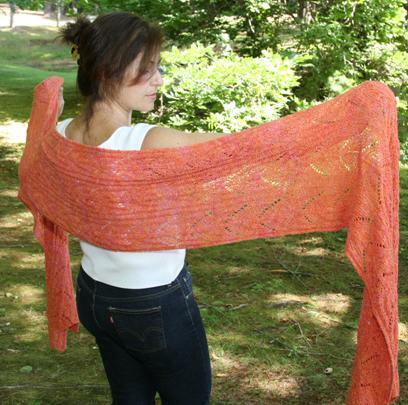 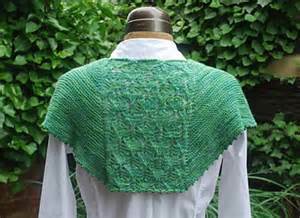 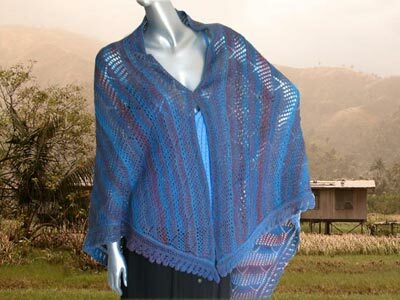 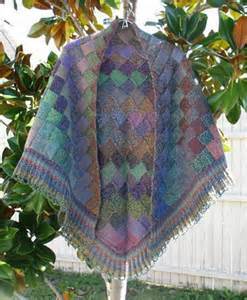 This elegant, easy-to-knit lace stole is equally effective knit in brilliantly variegated or quiet colors.